When your stomach is grumbling and the vending machine is whispering your name, healthy snack options can be few and far between — if not entirely nonexistent. Douglas County Health Department (DCHD) is working to change that. 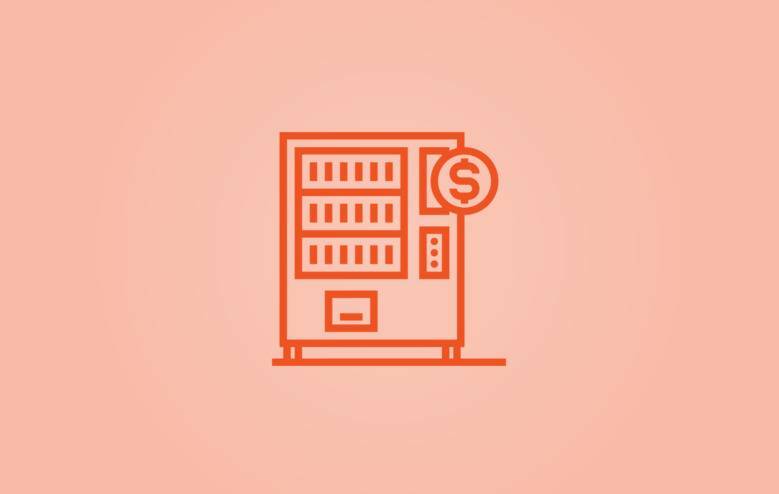 With a mission to put healthy foods in the hands of all Douglas County residents, DCHD and its partners created nutrition guidelines to improve the selection of choices in county vending machines. Swapping 15 percent of candy bars and soda with granola bars and bottled water to start, DCHD kicked off the initiative with an employee taste test in its own building. “It was a good way for us to get a foot in the door with the vendor and focus on one building that only has a couple machines before taking on other locations,” said Megan Carlson, a DCHD clinic nutritionist. The launch went so well, thirteen more county buildings have since followed suit — offering more than 1,500 people healthier alternatives to typical vending snacks packed with empty calories and a day’s worth of sugar. DCHD also introduced the idea to Charles Drew Health Center, who has become one of the standout successes. Thanks to support from upper management, both of its vending machines now offer 25 percent healthy options — when before they had zero. 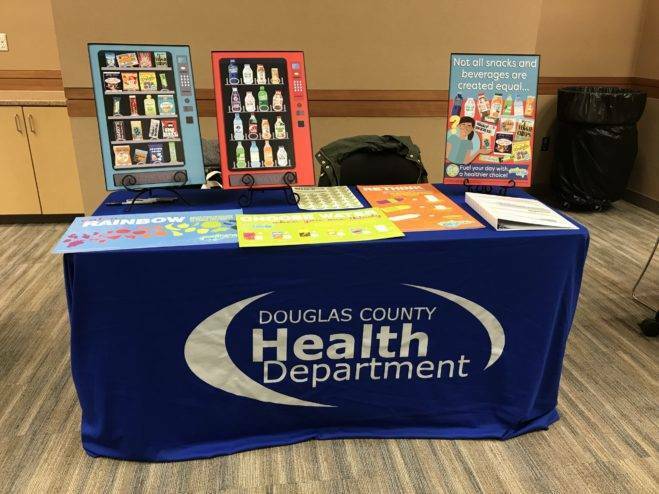 Earlier this year, DCHD attended the University of Nebraska Medical Center’s Wellness Fair, challenging College of Public Health attendees to guess which vending snacks would meet its “Snack&Go” guidelines. “Initially I thought that maybe it would be too easy for people, but it was very surprising. Out of probably more than 50 people who came to our booth, only one person got 100 percent,” Carlson said. Snacks such as unsalted roasted nuts, uncut fruit and vegetables, and freeze dried fruits with no added sugar also pass the test. For beverages, DCHD looks for low-fat milk and 100% juice in 12 ounces or less. Not only do healthier options help employees power through the afternoon and beat the afternoon slump, but people with high blood pressure, diabetes and other nutrition-related concerns can snack more confidently. And while top-selling sodas and chips may always have their place in a well-stocked vending machine, Snack&Go choices are slowly but surely seeing an increase in demand. For more information on making the healthy choice the easy choice at your workplace, download DCHD’s vending guide at https://www.douglascountyhealth.com/staying-healthy/healthy-vending.